This neutral hued beauty is composed with premium florals all around. 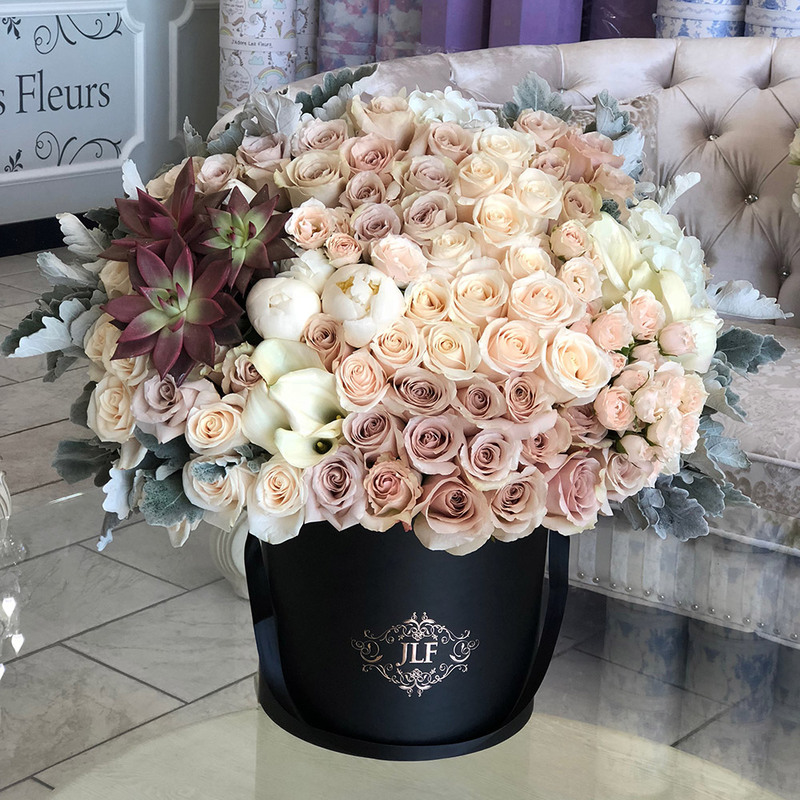 Classic cream and beige roses are carefully aligned next to calla lilies, peonies, hydrangeas dusty miller leaves, spray roses and gorgeous succulents not the side. The arrangement in the photo is in a medium size box.